What to do with those willow cuttings? 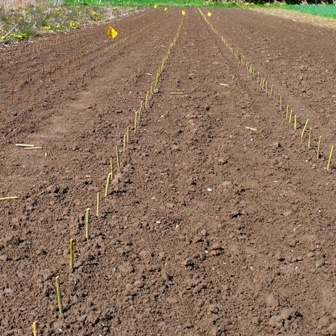 Willows are usually propagated by planting hardwood cuttings directly in the soil. 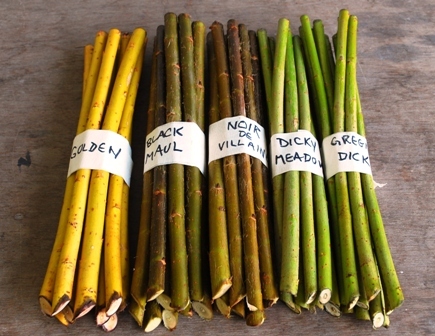 This method works especially well with willows grown for basketry and other garden uses. Dunbar Gardens sells cuttings about 11 inches in length like the bundles in the photo above. On the farm, I usually find that an 8 inch cutting is adequate. 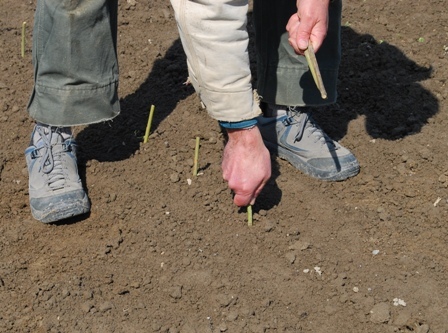 I till the soil in advance and then simply insert the cutting into the ground with the buds facing up. These basketry willows are planted in rows that are 32 inches apart and spaced 8 inches in the row. After the photo was taken, I trimmed some of these cuttings back to two or three buds remaining above ground. Success rate on the willows generally is quite high. I have had some disappointments. 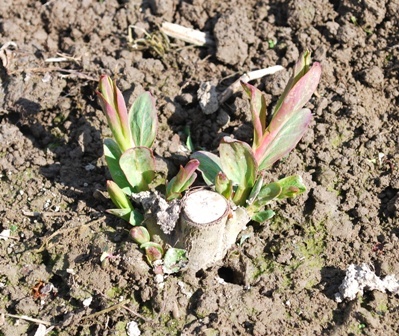 For example, Salix purpurea x daphnoides does not seem to root quite as easily and S. purpurea ‘nana’ has very slender wood which makes rooting in the field more challenging. A frequent question is what to do the second spring? 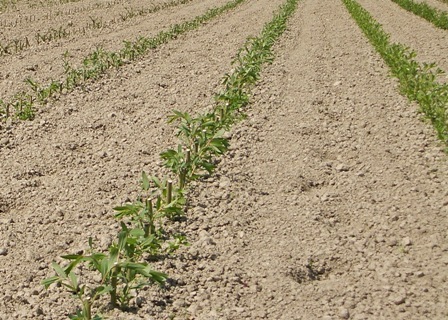 I cut back most of our willows to within an inch of the ground level like in the above photo. This pruning will encourage the growth near the base. The stool is going to get a little higher each year that the willow is coppiced; so it is important to start low. This entry was posted in willow and tagged basketry, cuttings, Dunbar Gardens, salix, willow by Steve@DunbarGardens. Bookmark the permalink.